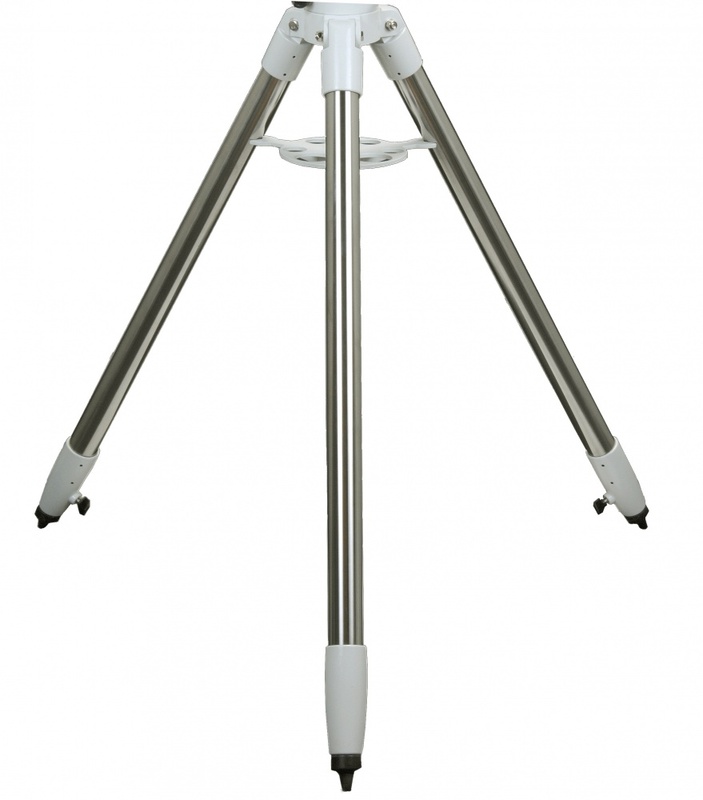 A heavy-duty tripod with 1.75" diameter stainless steel legs and a centre bolt connector with 3/8" tripod thread, complete with accessory tray. Tripod extends from 83.5cm to 115cm. Compatible with the Sky-Watcher 21.5cm extension tube (code 20313). A sturdy, well made tripod. I purchased this tripod as an upgrade for the, somewhat flimsey alluminium tripod provided with the EQ3.2 mount. Having just taken delivery of this product, the first thing that I noticed is that there is no peg for the azimuth adjustment bolts to act on. Also, I can't tell the difference between this mount and the Skywatcher Stainless Steel Tripod 1.75" For EQ5/HEQ5, which also appears to have a centre bolt to attach mount. The tripod feels very sturdy and appears to be well made. The legs extend easily and lock firmly in place.